The Xbox One isn’t exactly famous for its exclusives. While it does have a few gems, the console’s library is bereft of many “true” exclusives, instead mostly delivering experiences also available on PC, too. Its returning franchises have also split opinion; Halo 5 and Gears of War 4 are hard games for people to agree on. With Microsoft seem focused on pushing their Play Anywhere feature, the allure of picking up an Xbox One is wearing off, especially as Project Scorpio is just on the horizon. Without ever really looking like getting going, the console seems like it might entering into the final stretch of its lifespan. But it looks like it wants to go out with a bang: there are still some exciting Xbox One exclusive games to come. The variety isn’t quite as broad as what Sony have lined up, but there is something for everyone to look forward to. Don’t forget that Xbox’s Play Anywhere feature means that these will also be available on PC, so they are more console exclusives than out-and-out exclusives. EDITOR’S NOTE: this is an updating list, so post-E3 2017, it could be all changed. The Crackdown series may not a top-tier earner for Microsoft, but it isn’t far off. It has its fans who will no doubt leap the chance to leap around and dish out justice in an open-world with Crackdown 3. Crackdown 3 will allow player to upgrade skills to eventually become a superpowered Robocop. If that isn’t enticing enough, it will feature destructible environments, something which we haven’t see done properly in a AAA title in some time. Speaking of time, it was revealed at E3 2014 so it kind of has to come out this year – gamers can only be so patient. Probably the most visually distinctive platformer we’ve seen in many years, Cuphead takes the Steamboat Willie approach and it looks absolutely beautiful. As for how it plays, we’ve been waiting to find out about that for years – Studio MDHR is a small team, so they’ve had to take their time. Revealed in 2014 and quietly delayed until mid-2017, Cuphead is another game that’s going to have to do a lot to deliver on its hype. The run and gunner has a lot of potential to live up to, so stay tuned during E3 2017 and hope that we hear some news. State of Decay 2 is the sequel to the cult zombie hit, a game focused more on survival and relationships than mowing down endless waves of the undead. There’s nothing else quite like it out there (at least anything that does it as effectively). A release date for State of Decay 2 will be revealed at E3 2017, but we already know a few things about it before then. It’s going to focus more on survivor dynamics and have a considerably bigger playspace. If Undead Labs can combine that with update graphics and smoother performance, they’re surely going to be onto a winner. Here’s our wishlist, if you’re intrigued. Last chance saloon for Rare? 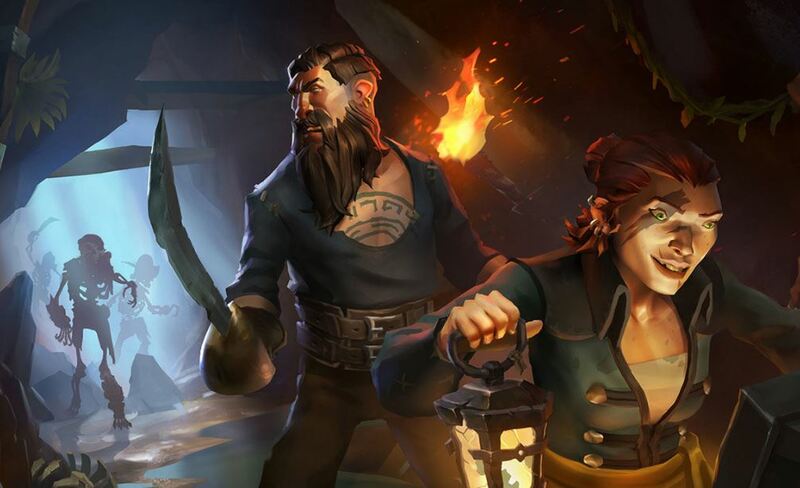 Judging from the crazy scope for their upcoming pirate game, Sea of Thieves, this might be an all or nothing game for the famous British studio. It seems as if it might be the biggest game they’ve ever produced. Focusing on multiplayer co-operation, Sea of Thieves is an open-world community-created title that has plenty of people quietly excited. If you’ve ever wanted to see if you and your friends can work seamlessly together to pilot a large bit of wood, this might be just what you’re after. Honourable mentions: Halo 6 and Gears of War 5 are absolutely going to happen, but who knows which platform. While you’re here, why not check out our picks for the best Xbox One exclusives released so far?